Comment: Austin TX area - Need a quote to install a 40 ft x 6 ft x 6 inch concrete slab. include excavation and clean up. We have pictures and rough drawings as needed. Comment: one side of driveway has a drop off and driveway is cracked. Comment: Current cool coat is chipped, shows mold. Needs to be cleaned and repainted. Natural stone coping needs be cleaned and sealed. 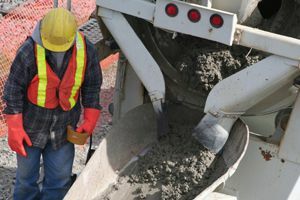 Austin Concrete Contractors are rated 4.73 out of 5 based on 866 reviews of 81 pros. Not Looking for Concrete Contractors in Austin, TX?